The Pump Track at Rocky Knob Park has recently received some upgrades designed to help riders pump the rollers, carve the berms and improve their overall bike handling skill and, in order to celebrate the completion of the track, a Grand Opening Ceremony will be help on August 29th at 9:30 AM, before the start of the Blue Ridge Battle Pump Track Challenge. Be sure to show up early to get some coffee from Bald Guy Brew and some cinnamon rolls from Stick Boy. 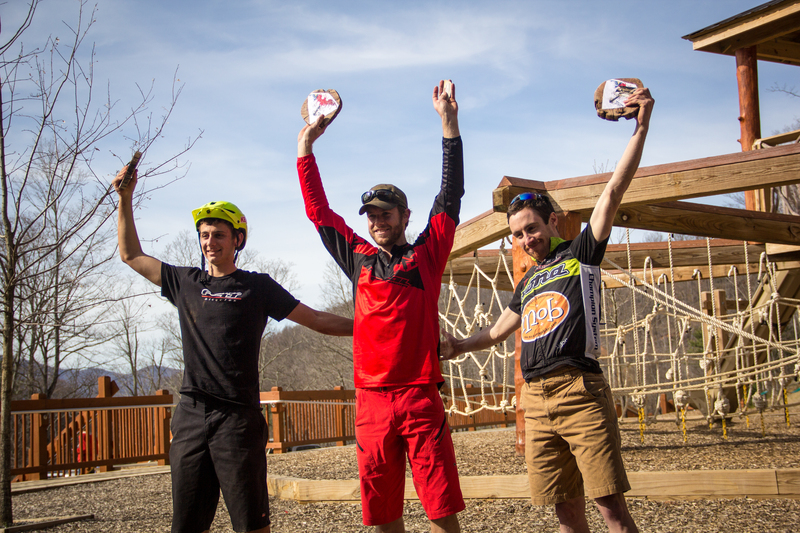 The Blue Ridge Battle Pump Track Challenge, a pump track competition series, will begin at 10:00 AM. Riders can register on site. A Pump Track is a special bicycle area with rollers, berms and other features where riders can learn and improve their bike handling skills. 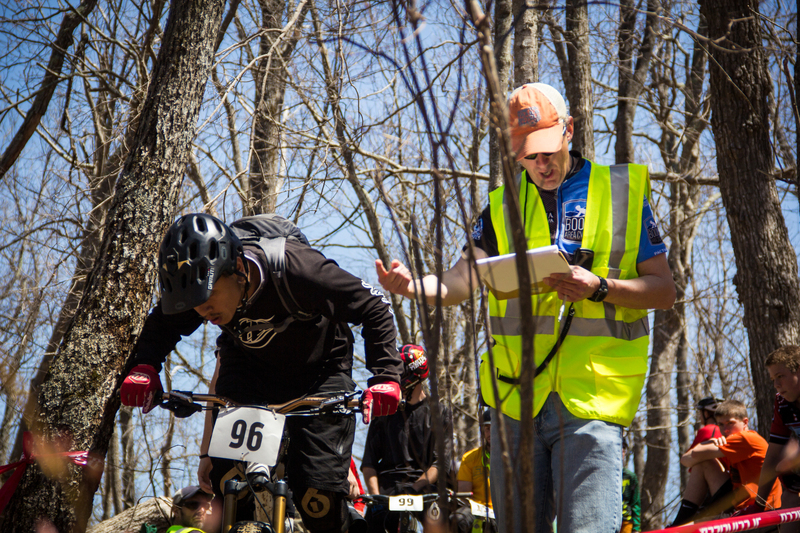 The Pump Track at Rocky Knob is one of the first of its kind in the country to incorporate educational signs around the course to teach the skills necessary to be successful on the track. 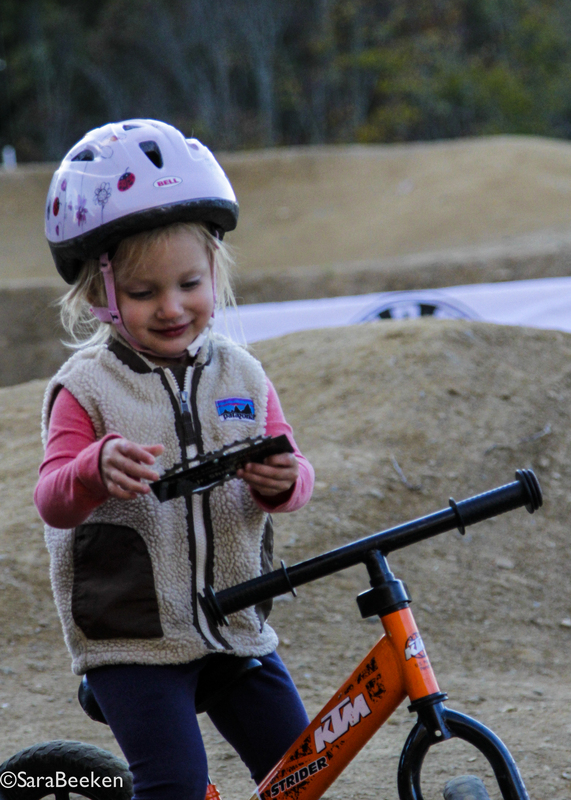 Sign topics include skills that range from novice to advanced, including: proper body position, pumping, bunny hopping, manualling, wheel lifts, and more. 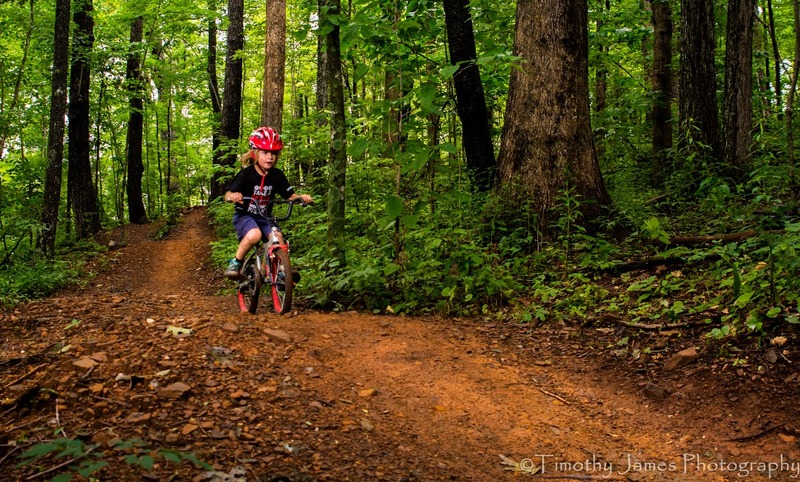 The educational signs were designed by the Blue Ridge Parkway Foundation’s Kids in Parks Program, and the Pump Track was designated as one of their “TRACK Trails”. 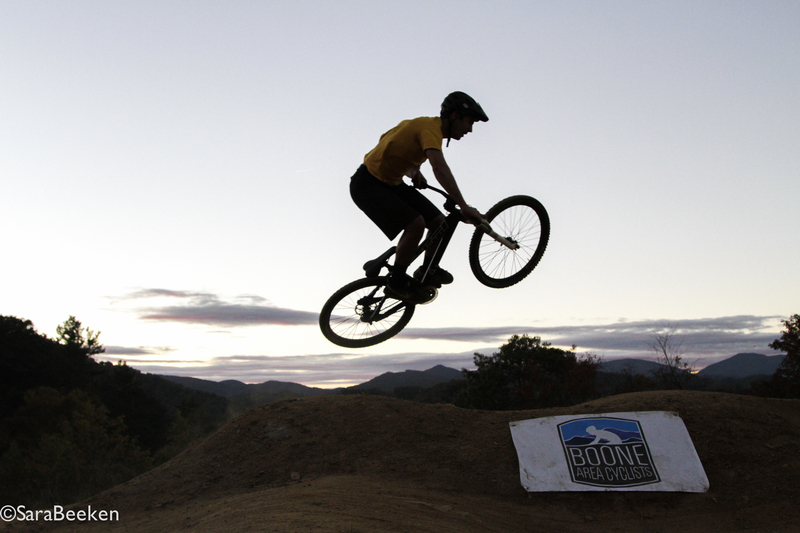 The Pump Track was made possible through a partnership with the Boone Area Cyclists and the Watauga Country Parks and Recreation Department. The track was built through collaboration between Terra Tek Trails and Elevated Trail Design, and was funded by the following organizations and private donors: Ray’s Weather Center, Appalachian Mountain Brewery, Cole’s Lawn Care, Coyote Kitchen, Destination By Design, Bald Guy Brew, the Tessien Family and numerous other individuals. Kristian Jackson, a representative and volunteer for the Boone Area Cyclists, said, “We’re excited to have partnered with the Kids in Parks program on this project. 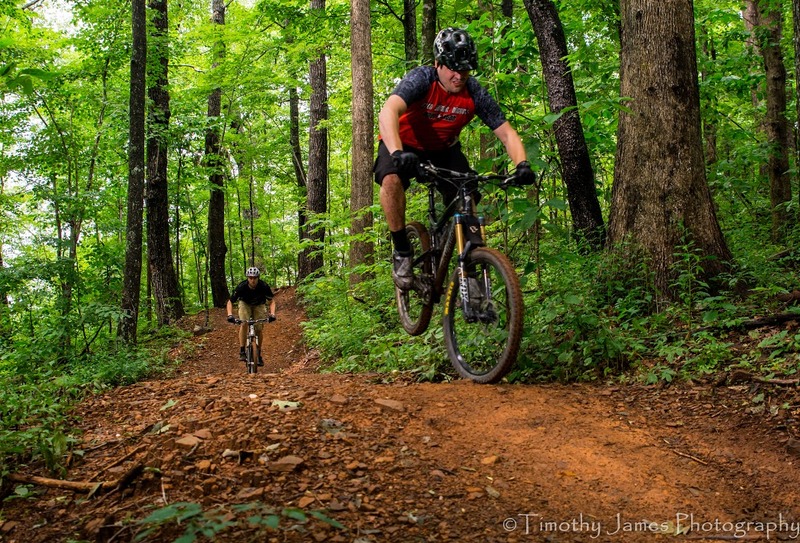 Rocky Knob Park has developed a reputation with mountain bikers across the Blue Ridge as an excellent riding destination. 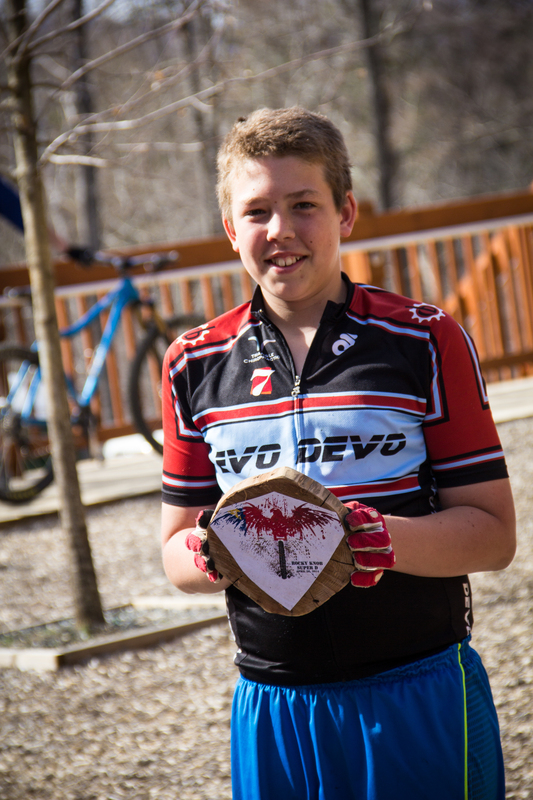 The pump track, with these new educational signs, will provide riders of all skill levels an opportunity to increase their enjoyment of mountain biking. 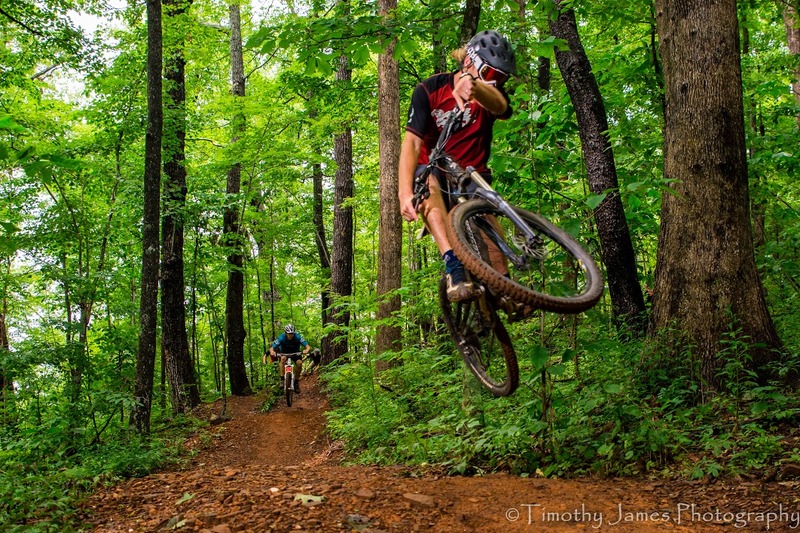 Rocky Knob Park was created in 2009 when the Watauga County Tourism Development Authority (WTDA) identified outdoor recreation as an important component of the county’s culture and economy. Two $5,000 grants were secured from the Bikes Belong Foundation and Specialized Bicycles. 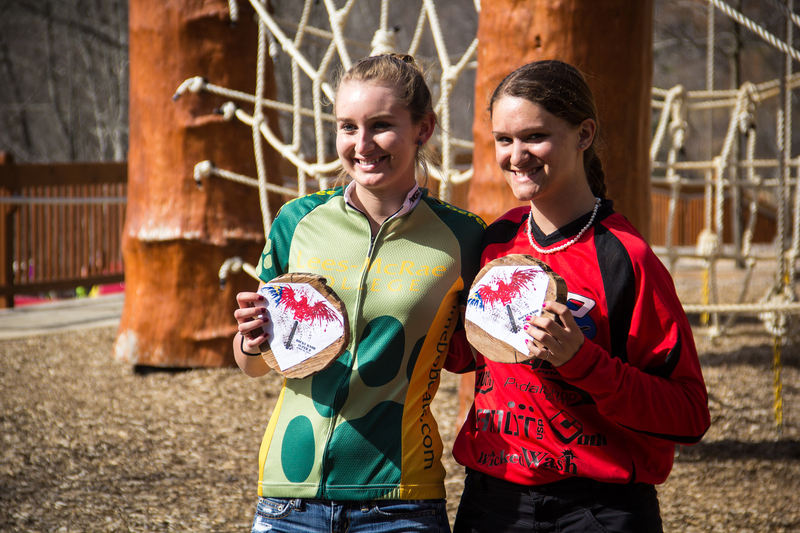 These grants were made possible through the WTDA’s partnership with Boone Area Cyclists (BAC), a local nonprofit organization working to promote and develop cycling opportunities throughout the Boone area. 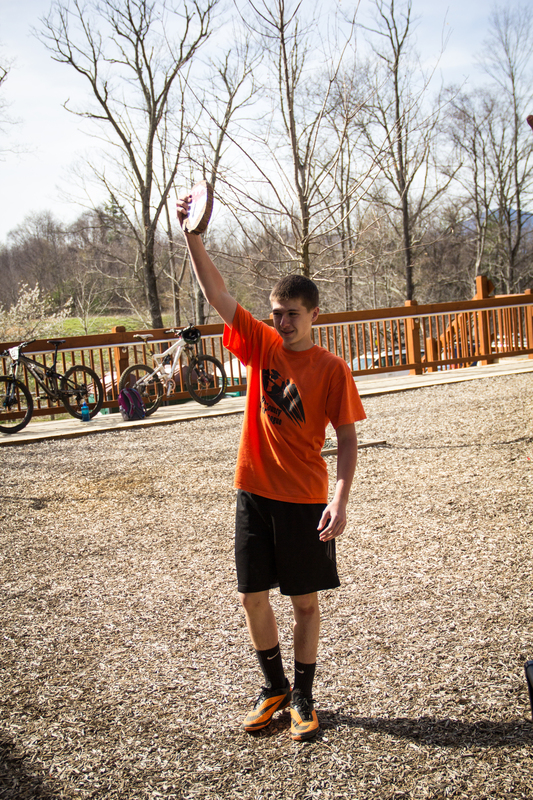 Watauga County, in partnership with the WTDA received a $500,000 grant from the North Carolina Parks and Recreation Trust Fund (PARTF) to assist with the acquisition and development for Rocky Knob Park. 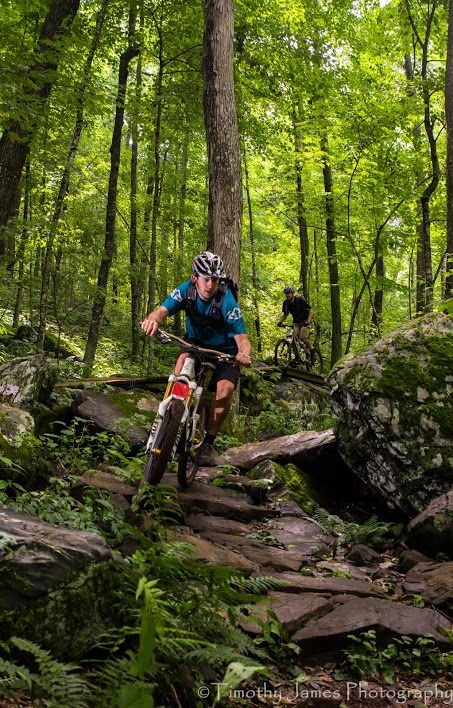 Volunteers from the Boone Area Cyclists contributed over 3500 hours to date working with professional trail builders to create and maintain over 8 miles of multi-use trails and four skills areas. An Appalachian State University economic impact study conducted by the College of Business and the Recreation Management Program in 2013 found the park contributed an estimated $2.8 million to the local economy that year alone. In 2014, Rocky Knob Park was designated a National Recreation Trail system by the Department of Interior in recognition of the outstanding opportunities for recreation. For more information contact Kristian Jackson at Jackson.kristian@gmail.com. 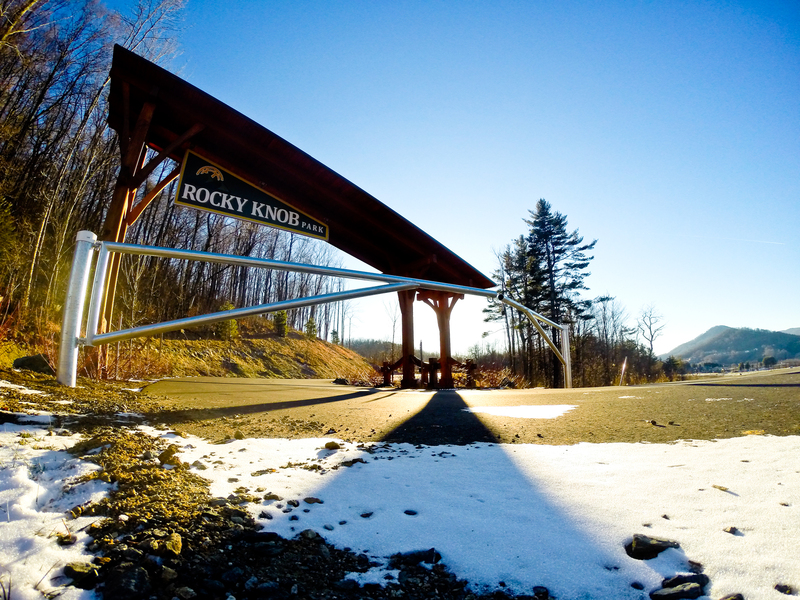 Rocky Knob Park has been closed this winter. A gate was installed at the park’s entrance. Watauga County will reopen the park once the weather allows. We will post any updates here. If you have any questions, contact Watauga County Parks and Recreation at (828) 264-9511. 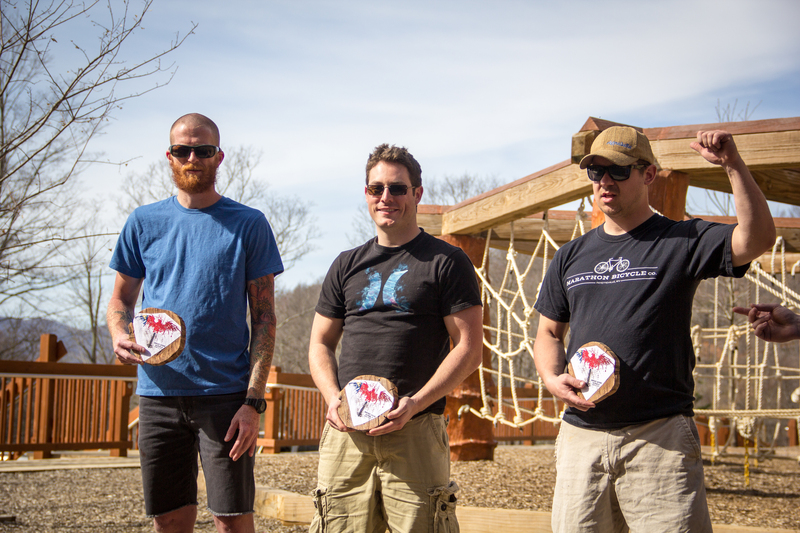 On April 25 Rocky Knob hosted the kick off race to the Southern Super D series. Eighty-one racers from 9 states competed on the mile and a half course. Not quite a downhill, but also not exactly a cross-country race, the Super D featured a point -to-point timed run with the fastest time winning in 9 categories. 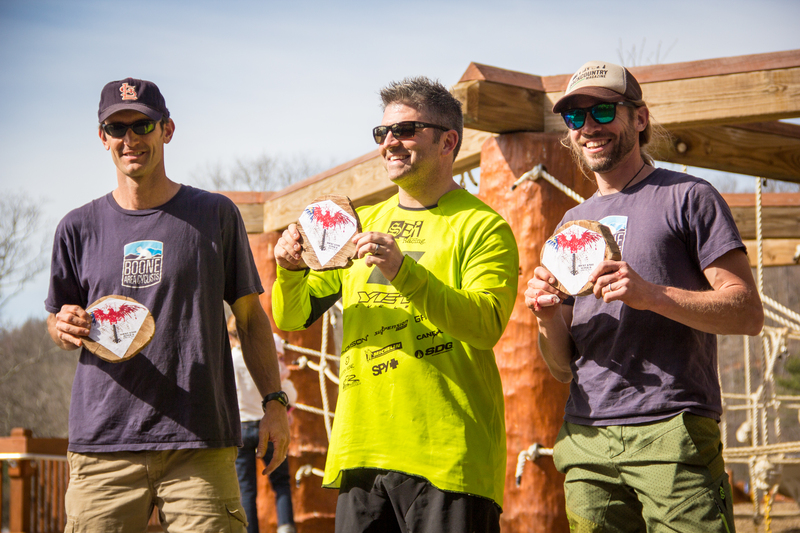 Racers tested their mettle over rocky terrain, through berms, and jumps. The Boone Area Cyclists who sponsored the race and provided invaluable volunteers as course marshals. Appalachian State University’s Recreation Management Program Planning students who organized and planned the event (including hand crafting the awards!) as a class project this semester. ASU Recreation Management students who volunteered as course marshals, parking attendants, and BBQ masters. USA Cycling provided registration and event support. Jim Smalley, USAC Official, provided the professional timing. Matt Adams promoted the race through his Southern Super D Series. Boone Meat Center donated the pork. Kansas City Certified BBQ Judge and ASU Recreation Management faculty Roachel Laney smoked the BBQ. Watauga County EMS provided medical support. Ingles donated much of the food. 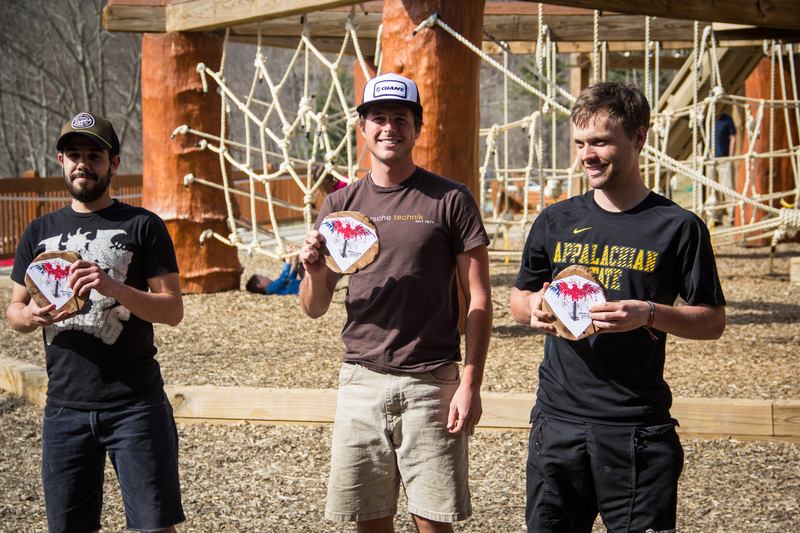 Mountain Khakis donated the awards for the fastest 3 times. 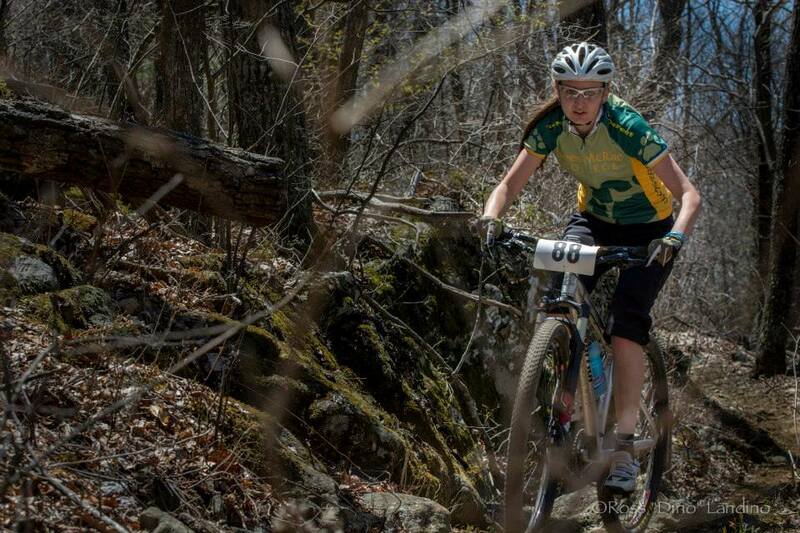 The next race is May 17 at Kolo Bike Park in Asheville. Riders will pedal un-timed to the start and then be allowed two runs to put down their fastest time. Registration is also available the day of the race from 9:00 AM until 10:30. Please pre-register! All registered racers can join Boone Area Cyclists for a FREE meal at Appalachian Mountain Brewery at 6:00 PM FRIDAY, APRIL 25! Proceeds from the race will benefit Rocky Knob Park (BAC) and the Appalachian State University Recreation Management Association Scholarship. BBQ is being donated by Boone Meat Center and prepared by BBQ master Roachel Laney! Several local businesses are sponsoring the event: Stick Boy, Bandanas, Lowes Foods, Ingles, Harris Teeter, Mast General Store, Mountain Khakis, and Appalachian Mountain Brewery. Special thanks to the BAC for hosting this race and providing volunteers. Stay tuned for race updates. After driving 6+ hours from Atlanta to Boone in what could be described as the start of the second biblical floods we finally arrived to our hotel at Beech Mountain. With that amount of rain I was thinking that there was no way we were going to get any solid riding in the High country that weekend and others in the group were kind of questioning it as well. Maybe it will clear up in the morning. Not so much. We got on the trails after a stupid amount of rain and the sky kind of cleared up with Scott, Josh, TJ, Kristian, and his mini shredders in the making. First reaction was ‘holy crap these trails are perfect’. All that hand laid rock armor drained like a champ. After a few photos we started making our way up the mountain. As we climbed up towards PB & J all I could think about was how sick it was that these trails were nothing short of the hard work of some awesome trail builders and riders who wanted a place to call their own. 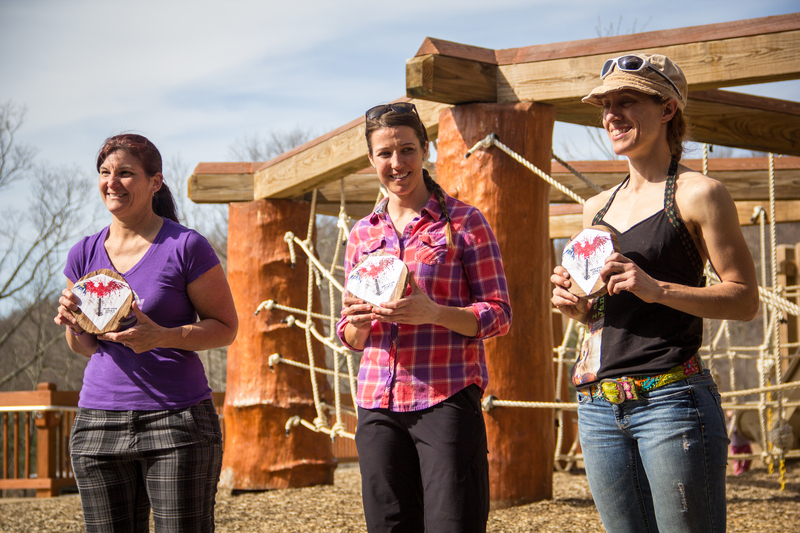 You could tell the amount of love, planning, effort that was thrown into these trails when Kristian described the process and the amount of time and energy that went into them. I was getting fired up. KJ on the first table top. PBJ Trail. The stone in Stone Binge. So after playing around and trying out the various features TJ let us know that he got the shots that he wanted and was ready to start climbing up to the top of the mountain. Granted climbing is NEVER something that I enjoy but this was different, we were in the High Country and if Kristian said it was worth it I would take him at his word. As we climbed yes my three broken ribs were hurting and I was engaged in that mental battle of ‘damnit why am I doing this, I can’t take a deep breath, etc. I mean if you’ve ridden and you are not just a complete animal you know what kind of games your head can play. Even with this whining I was doing in my head and probably audibly, this strange sense of peace and excitement came over me as I took a second to look where I was. I was riding through a cloud/mist/fog up a mountain in Boone, NC with my buddies on a trail that were built to perfection. Why the hell was I being a baby. Damn. Then we got to the top and that is when I feel like we truly got to experience these trail builder’s (more like trail artists) vision and ability to produce. 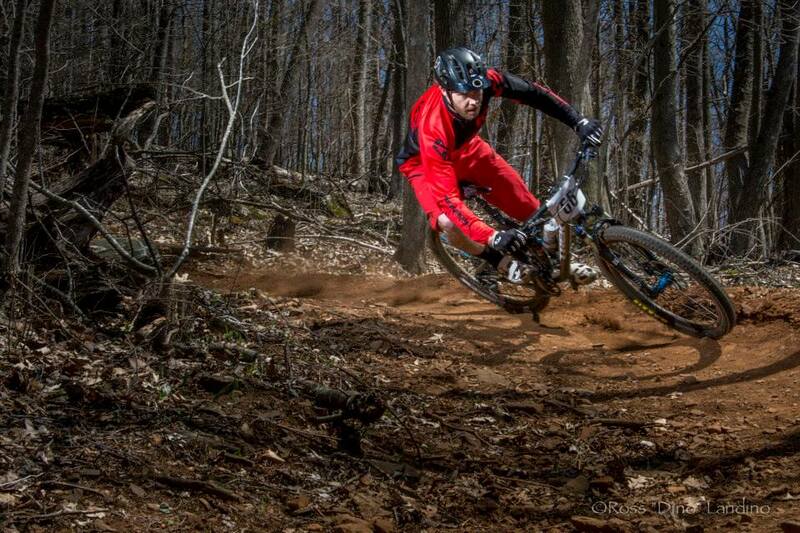 Holy rocky, fast, flowly, alt-line, brappage-of-the-berm batman! Following TJ, Josh, and Scott down the hill was freaking awesome. Flying down the hill, doubling rock piles on the side of the main trail, lines up and around trees all while in this misty/cloudy/ High Country weather…holy hell…it just gives me goosebumps just thinking about it. The different line options, the perfectly sculpted berms you don’t even need breaks for, I mean common I have said it a million times Rocky Knob is freaking awesome. 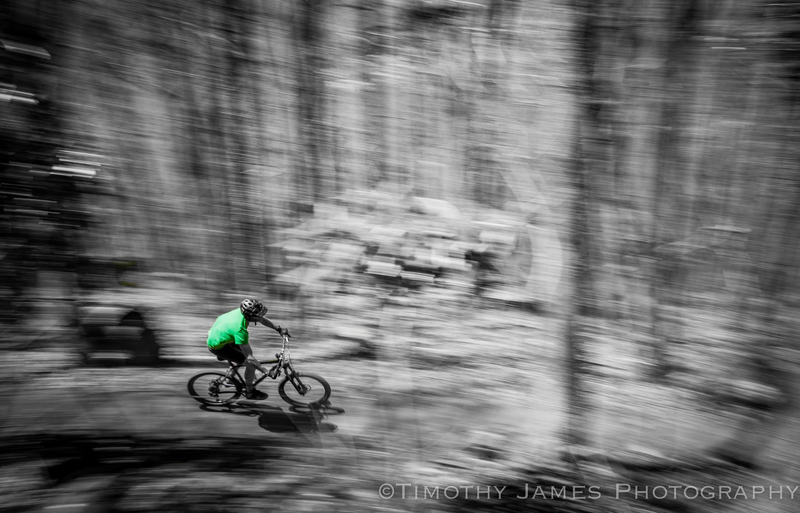 This is seriously a mountain biker’s play ground in the High Country. This place has it all. I you like to ride and want to experience what a properly constructed and maintained trail system looks like you HAVE to see and ride this place. 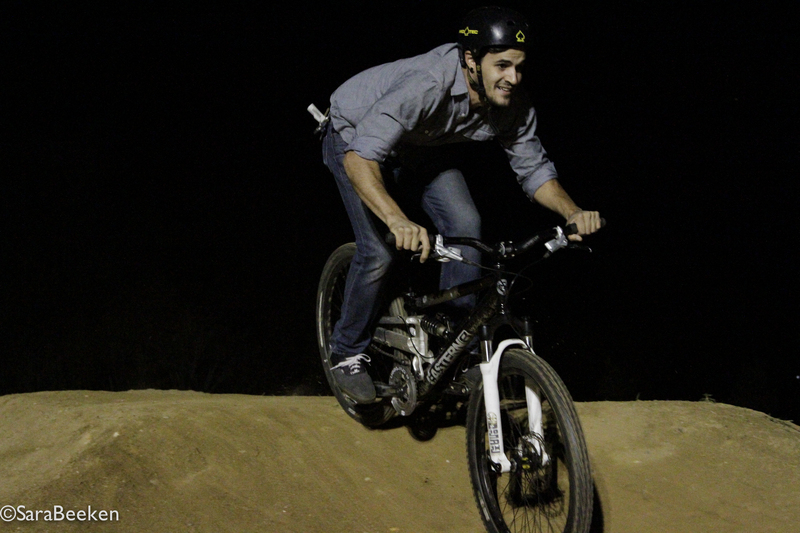 I know that I am planning a trip sometime this fall because I need to experience the newly built pump-track. I can’t freaking wait. Jude Jackson (5) flowing through the start of the PBJ. 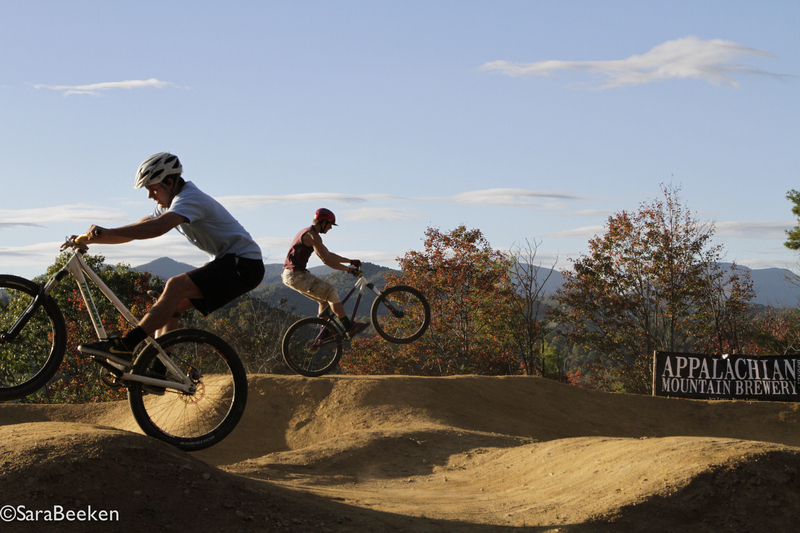 On October 11 and 12, Rocky Knob Mountain Bike Park hosted its annual fall festival. 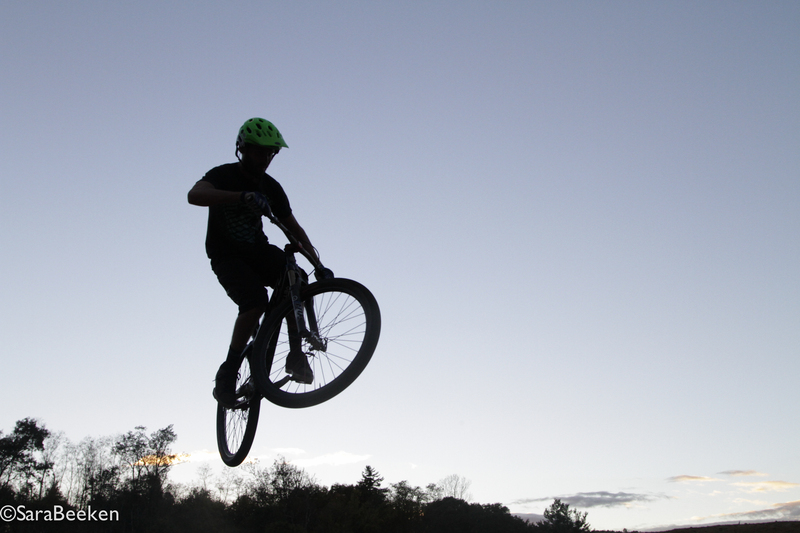 The festival consisted of a pump track jam on Friday night, where riders were challenged physically and mentally by the series of competitions hosted. About 130 riders and spectators attended the event. 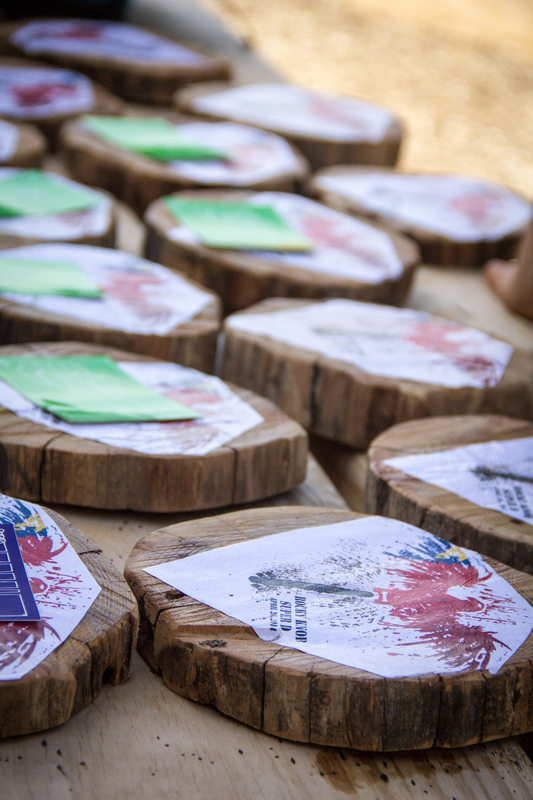 The riders competed in, the longest manual, best trick, best style and Jr. shredders. All competitions were very laid back and for fun. 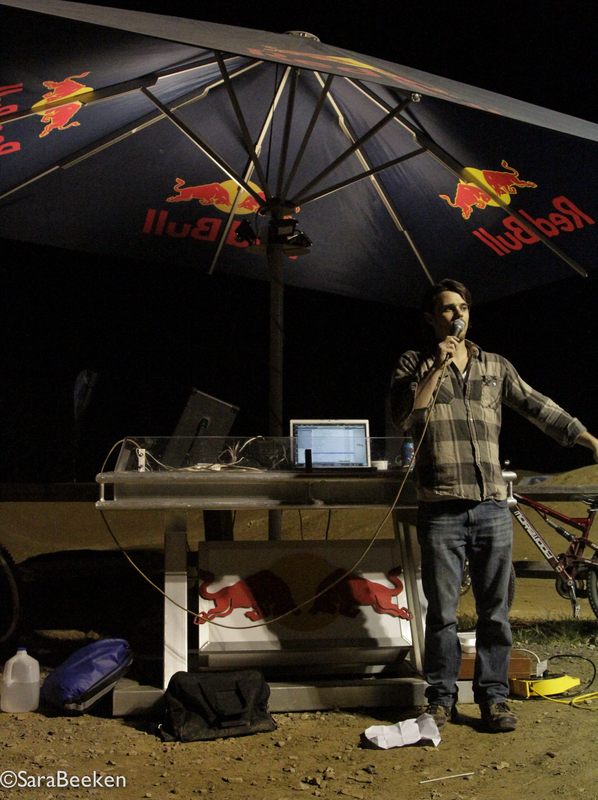 Red Bull appeared at the event,and brought a long their signature DJ booth and played smooth jams all night. 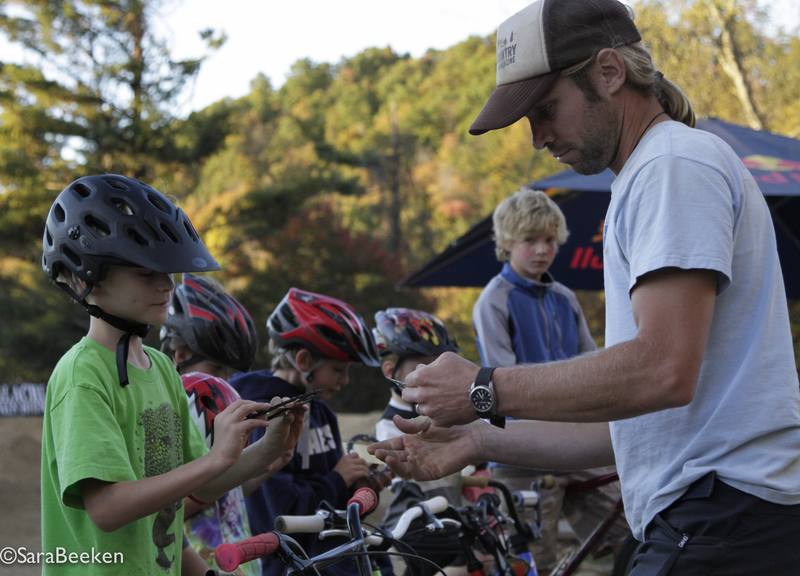 Saturday morning was a whole different setting with Take A Kid Mountain Biking Day. 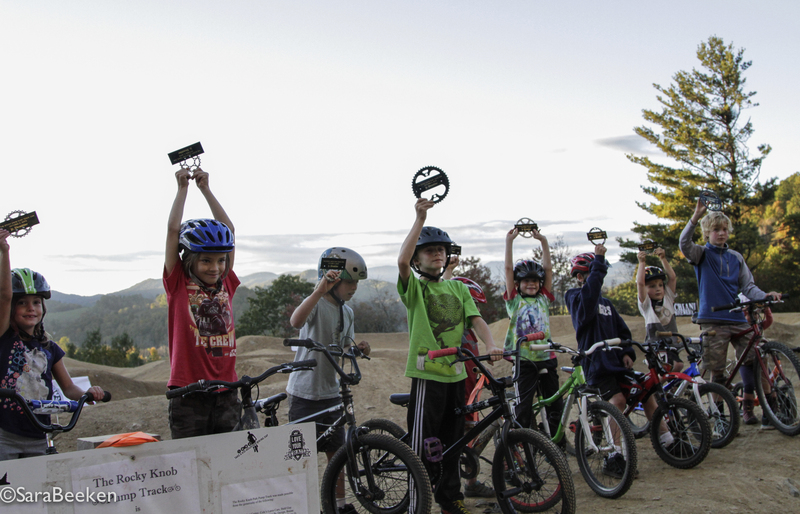 Twenty-Four youngsters showed up with their bikes in hand, ready to learn necessary skills to ride the pump track and trails at Rocky Knob. 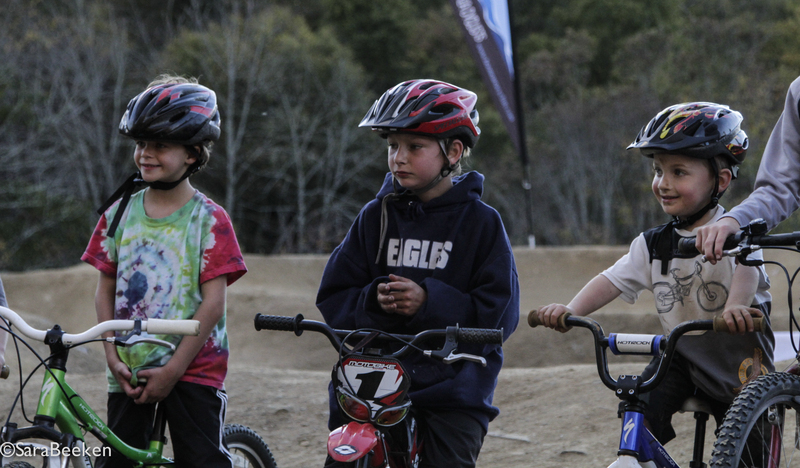 The Boone Area Cyclists held a skills clinic to educate the kids on pump track safety and showed them how to have fun while riding. By the end of the day, there was a noticeable improvement in the kid’s riding abilities. 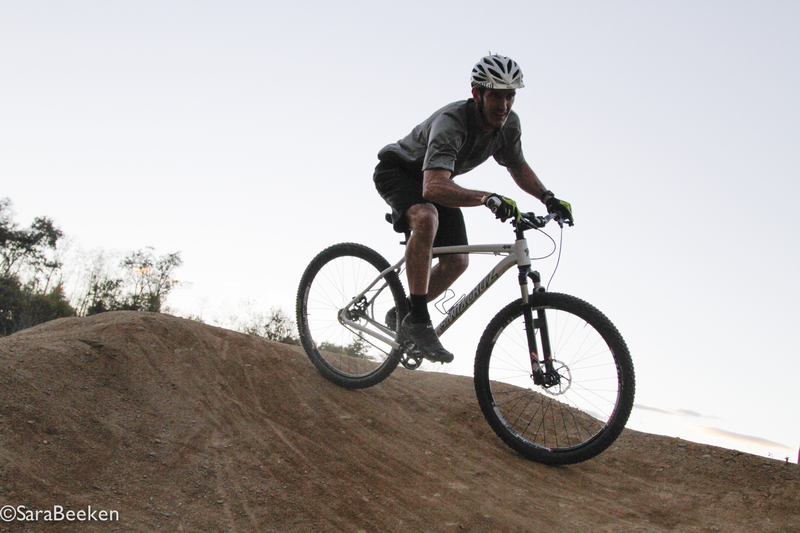 In addition to the Kid’s event, Magic Cycles provided an impressive demo fleet of Santa Cruz Bicycles for all visitors to take to the trails with some of the nicest bikes on the market. Group rides were provided with instruction from the Appalachian State Cycling Team, many of whom showed us their impressive skills at the Pump-Track Jam the night before. To close the full weekend of festivities, the ASU Recreation Management Program Planning group coordinated a full luncheon and raffle to raise money for the improvement of Rocky Knob Park. The BBQ lunch came loaded with Bandana’s coleslaw, Stick Boy Cookies, Jimmy John’s sandwiches, Black Cat burritos, and a variety of items courtesy of local grocery stores including Earth Fare, Ingles, Harris Teeter and Lowe’s Foods. 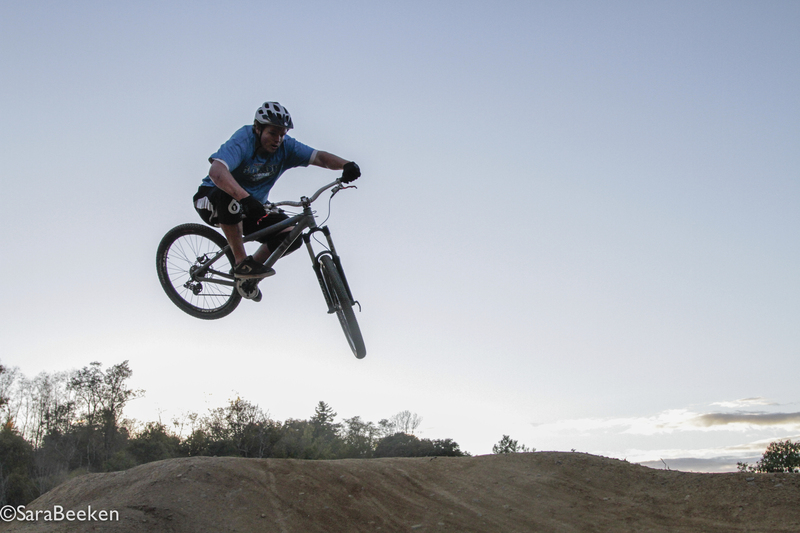 The lunch raised $250 for the pump track and ASU Recreation Management Program’s Scholarship. We would like to give a thanks to all of the sponsors who helped contribute to the event: Bald Guy Brew, Tsuga, Mountain Khakis, Bell, Giro, Yakima, Spy Optics, Black Cat, Ingles, Lowes Food, Harris Teeter, Earth Fare, Jimmy Johns, Stick Boy, Specialized Bikes, Roachel Laney (BBQ), ASU Recreation Management, Boone Area Cyclists, Magic Cycles, International Mountain Biking Association, Red Bull, Bandanna’s BBQ, Beech Mountain Resort. 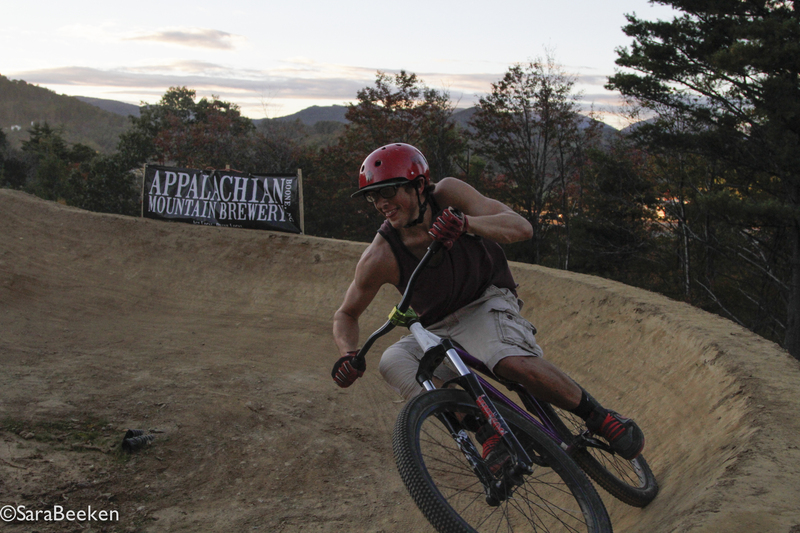 Rocky Knob would also like to give a special thanks to Appalachian Mountain Brewery who raised $350 for the pump track.